Renting an apartment in Shanghai can be a tricky thing and it is important to get a good agent that will work on your behalf. In fact some of the agents in HomeofShanghai Real Restate are the best in Shanghai because of the long working time and great communication skill. 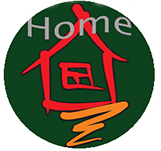 HomeofShanghai has a big database for properties which can suit your needs all the time. Obviously renting in Shanghai is not like in your home country, the language barrier, then local traditions and regulations and so on may confuse you. Home of shanghai like to help you find your dream home. Yes trust is important we deserve your trust and it is just so important to get a best agent, isn’t it?